The Four Seasons in Fort Lauderdale (officially known as the Four Seasons Hotel & Private Residences) is a 22-story building located on Fort Lauderdale Beach Boulevard by developer Fort Partners of Miami and the firm of Kobi Karp. Along with its hotel suites, there are 65 condos for sale available with 2,200 to 6,500 square feet of living area. Residents of the Four Seasons condo enjoy the high level of services that the Four Seasons brand is known for plus the amenities offered to hotel guests and several extra amenities intended exclusively for residents like a fitness center and a dedicated porte-cochere entrance. 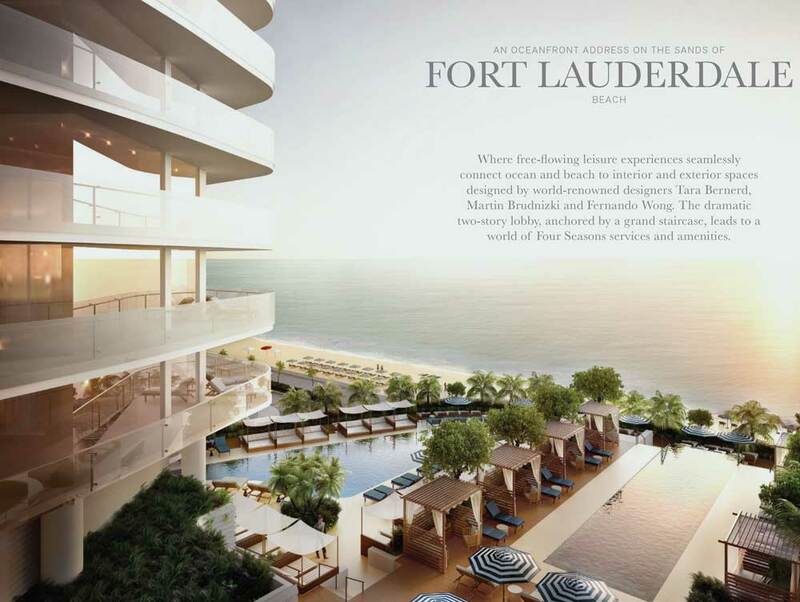 A pair of swimming pools (including one solely for adults), a garden cafe, a recreation area for children, and a ballroom are some of the examples of the Four Seasons Fort Lauderdale amenities. Residential features include expansive private terraces, floor to ceiling windows, large walk-in closets, and custom European cabinetry. 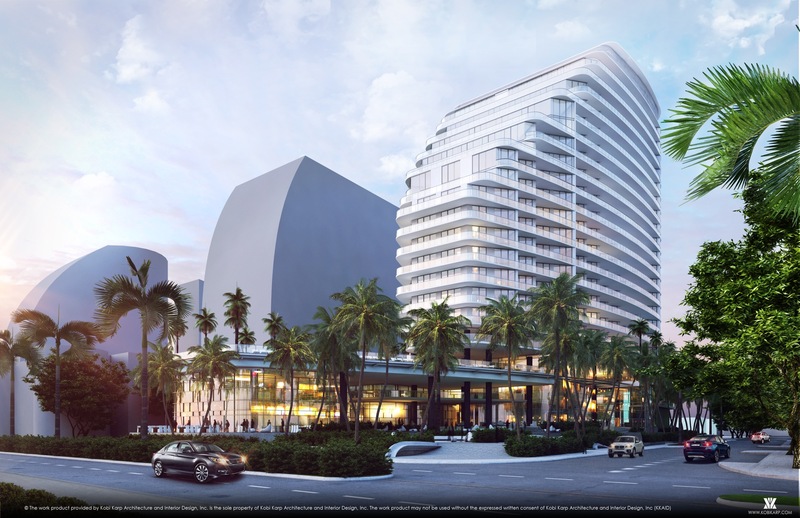 The location of Four Seasons Hotel & Private Residences is steps away from the beach and many attractions throughout Fort Lauderdale like the Las Olas area, the Bonnet House Museum and Gardens, the Galleria Mall, Hugh Taylor Park and much more. Fort Lauderdale-Hollywood International Airport is less than thirty minutes southwest of the Four Seasons condominium.